Any play in the steering - including the hub - takes away control by the driver letting the car 'wander around'. 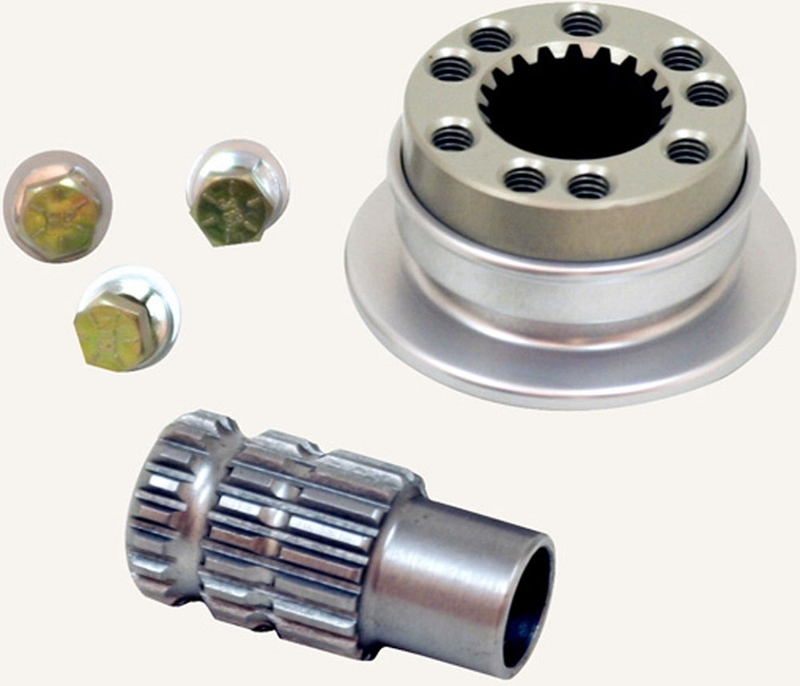 This precision hub has a micro-finished spud and Hard Anodizedsplined hub for a super tight fit, yet is easy to remove and install. Plus, there are multiple sets of mounting holes so you can 'clock' your wheel 3 times closer. For safety there are 2 sets of retaining grooves. If you don't get the ring engaged it will catch on the second safety groove rather than come off on the track. The steel 'spuds' can be installed on both 3/4" and also 5/8" shafts.